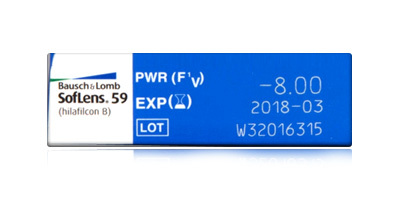 Bausch & Lomb Soflens 59 monthly are one of the world’s leading optical brands and produce contact lenses that provide sharp vision whilst keeping eyes clear, bright and healthy. Soflens 59 monthly disposables are made from a polymer material that’s particularly effective when it comes to resisting deposit build-up. Hilafilcon B, material helps to protect the lens and eye from dirt, dust, pollen and protein deposits which can cause blurriness and dryness. 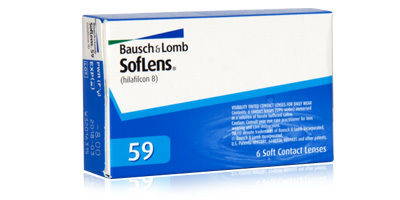 Bausch & Lomb Soflens 59 lenses have a high water content, which means better breathability and allows more oxygen to pass through the lens. Six lenses are included in each box, giving great value for money. 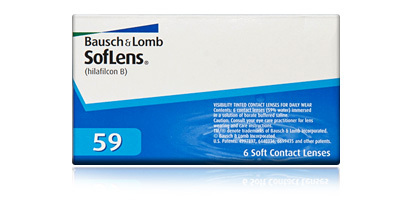 Place an order for Soflens 59 contact lenses with us and get fast delivery to your doorstep. 98% of orders are usually despatched on the same day as placement.